Bantamweights Alan Philpott and Dean Garnett will return to the cage on August 25 in Malmo, Sweden. Bantamweights Alan Philpott and Dean Garnett will return to action at ACB 91 in Malmo, Sweden on Aug. 25. This past weekend, ACB announced a whole host of fights including bouts for both Philpott and Garnett. Philpott (17-10 1NC) was last back in action at ACB 88 in June when he defeated Gustavo Falciroli via a unanimous decision. 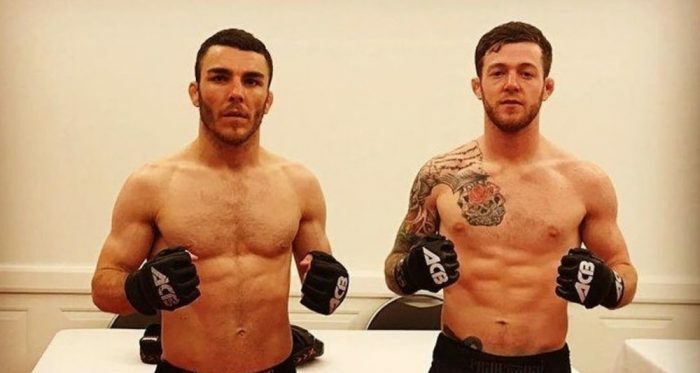 The win snapped a two fight losing streak for the Northern Irishman after he suffered losses to Tom Duquesnoy and Islam Yunisov in his ACB debut. With his name back in the win column, Philpott will now looking to build on his victory further when he takes on Edgars Skrivers in Sweden. Skrivers (15-6) hails from Lativa and also has two ACB fights to his name. The Latvian was last in action back at ACB 83 when he was defeated by Magomed Magomedov via a unanimous decision. Prior to that loss Skrivers had beaten Xavier Alaoui and Antun Racic. Garnett (10-2-1) will take on Russian fighter Magomd Ginazov. The Liverpudlian was last in action back at ACB 87 in Nottingham, England when he defeated Dominque Wooding via a split decision. Prior to that win, Garnett had suffered the first two losses of his career after being defeated by Magomedov and Anthony Leone in 2017. Ginazov (13-4) comes into the bout with Garnett coming off a loss to Leone. The Russian has fought almost exclusively for ACB for his entire career and has recorded victories over the likes of Kirill Medvedovski, Bruno Dias, Alexander Pletenko, Ioan Vrânceanu and Bruno Viana.